NABE's mission is to advocate for educational equity and excellence for bilingual/multilingual students in a global society. 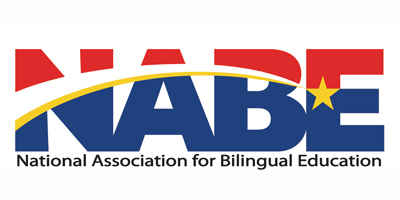 The National Association for Bilingual Education is the only national professional organization devoted to representing bilingual/multilingual students and bilingual education professionals. NABE has a­ffiliates in 18 states, which collectively represent more than 5,000 members. These members include bilingual and English learner (EL) teachers, parents, paraprofessionals, administrators, professors, advocates, researchers, and policy makers. NABE’s mission is to advocate for educational equity and excellence for bilingual/multilingual students in a global society. NABE places high value on native language, and respects cultural and linguistic diversity. As tireless advocates who work to influence and help create policies, programs, research, pedagogy and professional development, we know that we are investing in our children’s education, our nation’s future leaders, and our world’s well being. Using multiple languages in everyday life, we not only develop intercultural understanding, we also demonstrate that we respect and can effectively communicate with people from diverse cultural and linguistic backgrounds. NABE is highly committed to prepare 21st century multiliterate global citizens who will make contributions in economic, civic, technological and cultural advancement. We embrace this mantra and advocate learning more than two languages and cultures. NABE members are the ambassadors who choose to create unity within a diverse and interdependent world.